I bungled another bread. But it wasn’t my fault this time, I swear. I was excited about this bread and really gave it my all: I painstakingly sliced thin layers of orange peel and let it dry out overnight. I bought anise seeds AND fennel seeds (even though I later realized that we already had fennel seeds—rats!). Most importantly, I bought cardamom, a spice that I have actively avoided for years. Every once in a while, recipes here and there will call for 1/4 teaspoon or some other very small amount of cardamom, and I always omitted it because I didn’t think it warranted a purchase. Mostly because a jar of it costs $10. So, I decided to bite the bullet, and between my spices and a new bag of flour, I spent a grand total of $21 on this bread. You can imagine my frustration when it did not come out as planned. 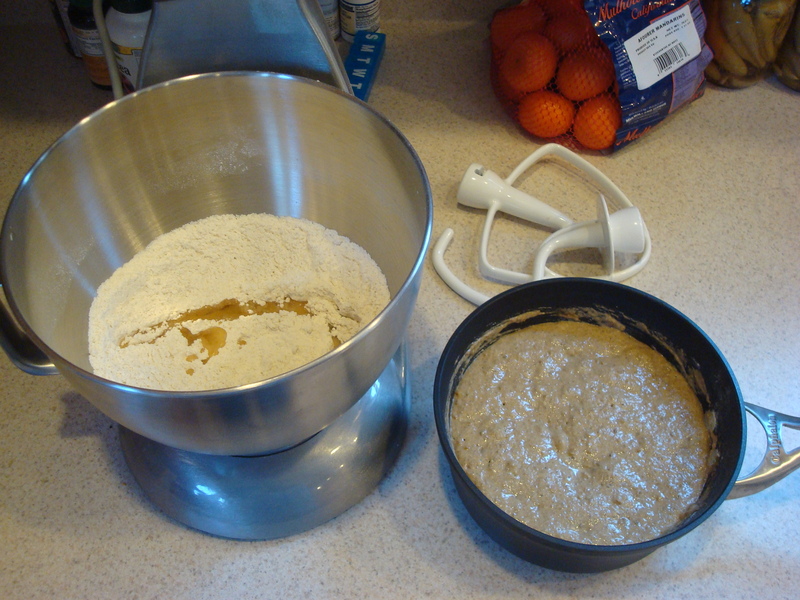 The night before baking, I had to make a starter, which was very involved. 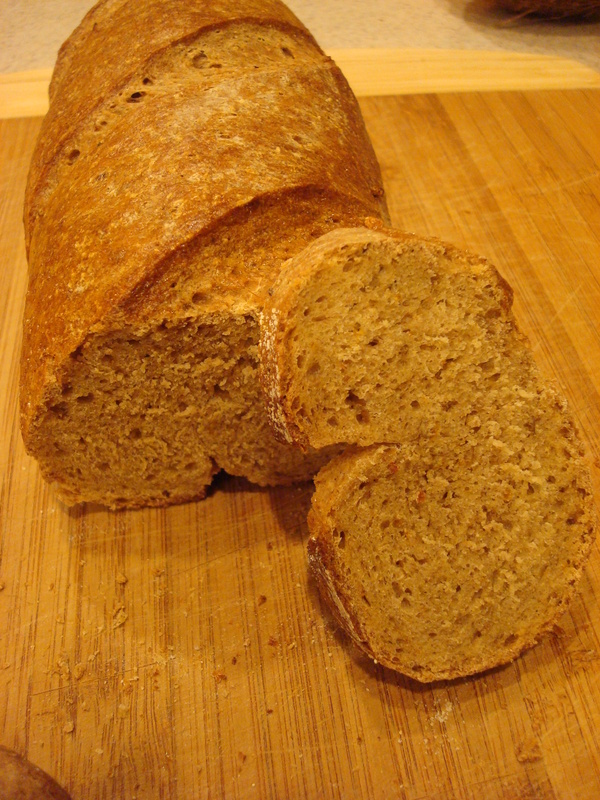 I had to boil water and molasses, then add all of the spices, along with some barm and rye flour. Once that was mixed, I let it sit for four hours until it got nice and bubbly, then I put it in the fridge overnight. 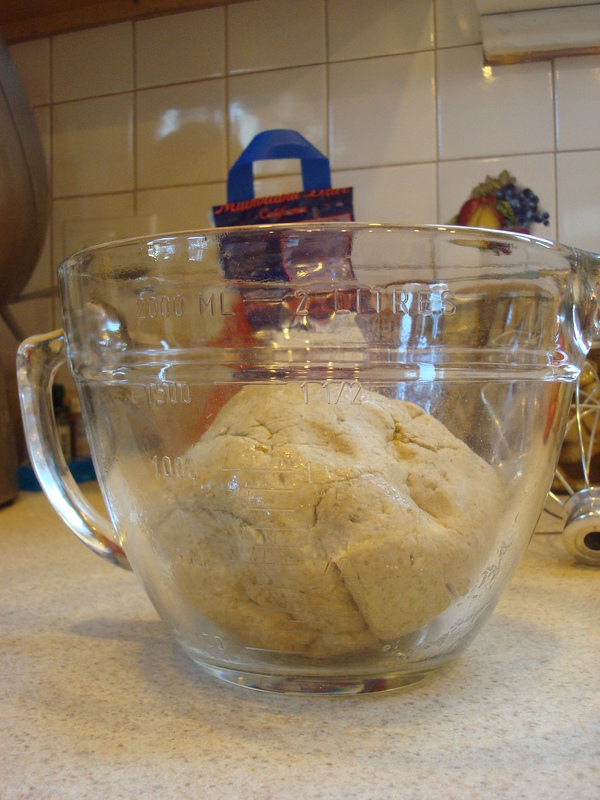 The next day, I combined the starter with some bread flour, salt, instant yeast, and vegetable oil…pictured below. I let the mixer go to town on it for a couple of minutes, but the second I took it out and started to knead it, I knew something was terribly wrong. 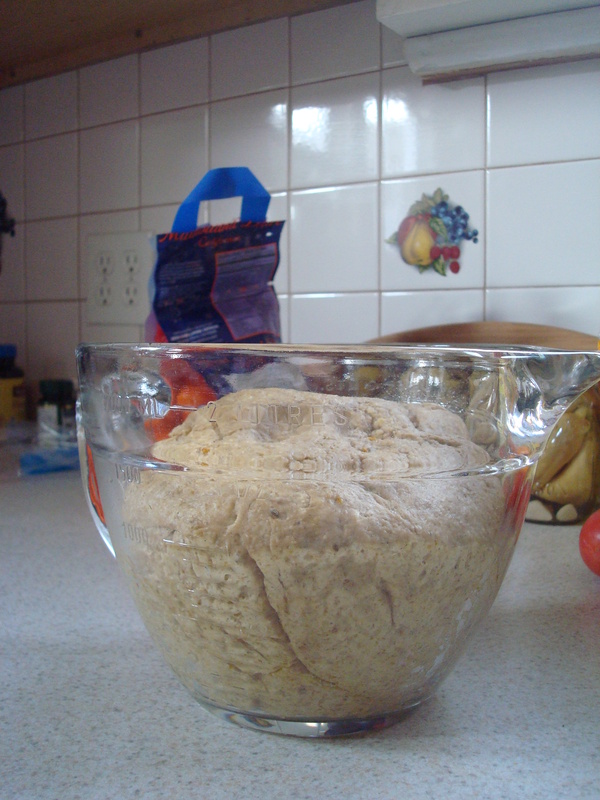 The dough was insanely dense. I have no idea why. I followed the instructions to a T, but it seemed like the second I combined the starter with the flour, there was a strange reaction that made the dough totally unworkable. It also felt like it weighed about eight pounds. I decided to press on anyway, so I oiled a bowl and let it rise. It was supposed to double in size in two hours. I had absolutely no rise in that amount of time, so I let it sit around for a total of five hours. There was a small rise, but I knew that it was still going to be a disaster. 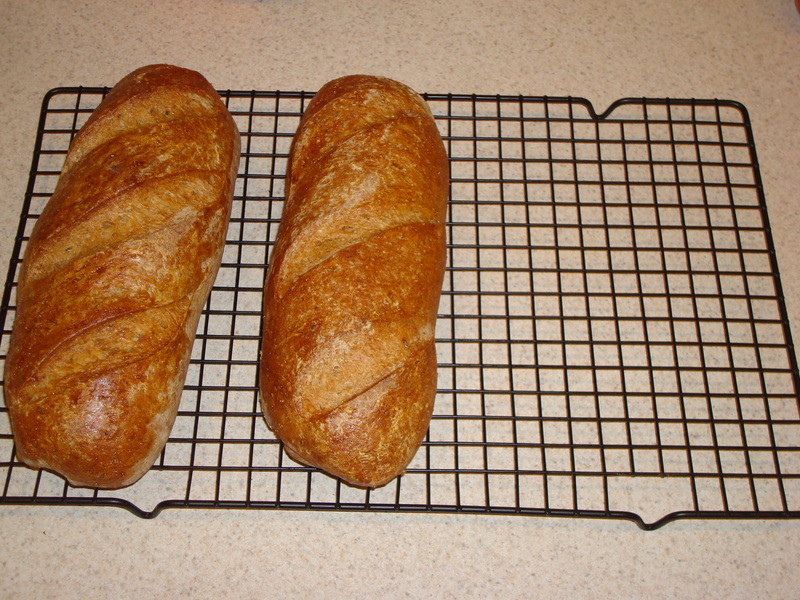 After the rise, I divided it and shaped the dough into two “batards,” or torpedoes. I let those sit out for about two hours and then put them in the oven. As you might expect, the loaves looked and smelled nice, but the texture left much to be desired. It was very dense and gummy. These rye breads sure have been challenging. Hopefully I’ll be able to redeem myself tomorrow with the Potato, Cheddar, & Chive Torpedoes.